The Music Managers Forum has launched a new funding and professional development initiative aimed at early-career artist, songwriter and producer managers. The new Accelerator Programme seeks to support people who are currently managing artists alongside a full or part-time job and who are looking to make the tricky step into full-time music management. Making that leap is challenging for most new managers. As the businesses of the artists they work with start to gain real momentum, those artist businesses need the full focus of the manager to get them to next level, but are often not yet generating sufficient revenues to provide said manager with a full-time wage. Meanwhile, as opportunities build for the artist, the manager needs access to knowledge and advice, but can find themselves too busy to seek it out. MMF hopes that the new Accelerator Programme will help managers at this stage in their careers meet this challenge. Set up in partnership with YouTube Music – and supported by an assortment of music companies, development organisations and established managers – the initiative will offer twelve-month grants of up to £15,000 as well as training, advice and mentorship. 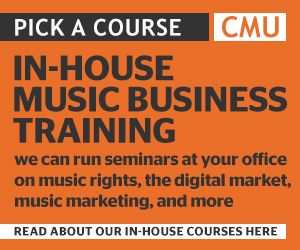 That includes access to the ‘Mechanics Of Music Management’ seminars programme that MMF recently launched with CMU Insights. 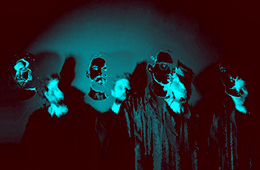 MMF General Manager Fiona McGugan says: “The role of music management has undoubtedly been elevated across the past decade. It’s a challenging profession, and a good manager needs to be across all aspects of their client’s business – be they an artist, a songwriter or a producer. However, many managers also face financial uncertainty, particularly in the early stages of their career, and we fear that without proper support the music industry will lose vital talent from across the country”. At launch the programme will be available to early-career artists in England and Scotland, the latter enabled by support from the Scottish Music Industry Association. McGugan continues: “By partnering with YouTube Music, the Accelerator Programme offers a way of addressing this dilemma. The programme is for managers who are already building a track record, and our aim is to encourage applications from across England and Scotland, from all genres and backgrounds, and to leave a lasting legacy that serves a whole generation of artists”. Confirming their support for the initiative, YouTube Music’s Azi Eftekhari said: “We believe passionately in the importance of managers in developing the next wave of UK talent. YouTube Music is proud to partner with the Music Managers Forum on the Accelerator Programme which we hope is a game-changer in providing emerging managers the opportunity to hone their skills and focus on their business”. Meanwhile MMF Chair and Biffy Clyro manager Paul Craig adds: “This is a transformative initiative and one that the MMF and YouTube Music should be very proud of. When I started in management, the opportunity to apply to a fund to help me focus on being a full-time manager was only something that I could dream about. The inclusion of the business support, training and mentorship makes it even more remarkable”.